In some quarters, it's fair to say, evangelical Christians have a definite reputation problem, says Kevin Palau. As president of the Luis Palau Association in Portland, Ore., Palau is an evangelical leader in one of the most unchurched cities in America. He's seen firsthand the antagonism that Christians, evangelical and otherwise, can prompt in a post-Christian culture. To many people outside the church -- and even to some within -- evangelicals are known more for what they are against than what they are for, he said. "Many people view the evangelical community as nothing more than a political agenda," Palau said. "It is hurting our gospel witness." But that perception may be changing throughout Portland and the Pacific Northwest, thanks to an unusual partnership between evangelical churches and city leaders, working together for the betterment of the community. Created six years ago by the Palau Association and city officials, CityServe Portland connects congregations with dozens of efforts to improve life for area residents. It links churches with volunteer opportunities in schools, foster care, homeless shelters, health clinics and more. Launched and administered by the Palau Association, CityServe is unapologetically Christian, an effort to reach out in mission and witness. Yet proselytizing is not allowed. In a divisive time marked by culture wars and hot-button social issues, CityServe focuses on what people have in common, bringing them together to love and to serve their city. 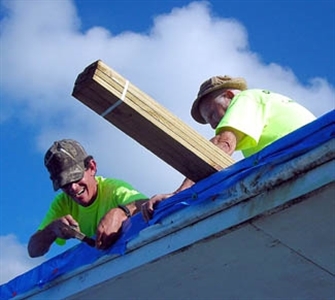 The program began in 2008, when the Palau Association pulled together evangelical churches across Portland for what was to be a one-time summer-long program called "Season of Service." Based in Beaverton, a Portland suburb, the association was founded by Kevin Palau's father, Luis Palau, an international evangelist who had been mentored early in his ministry by the Rev. Billy Graham. For years, the association has hosted festivals in cities around the world, bringing together tens of thousands of believers to celebrate and share the gospel. Kevin Palau wanted to use the association's long-established capacity as a convener to bring hundreds of churches together to work on behalf of Portland. It would be a new endeavor for both the churches and the city. For years, Palau said, evangelicals had been sitting on the sidelines, unengaged in meeting the needs of Portland. How can we help? And how can we work together? Incoming Mayor Sam Adams -- who is politically liberal and openly gay -- and other officials were skeptical at first. They wondered whether the church people would turn out and, if so, would serve without attempting to proselytize. But they also knew that Portland's needs were much greater than the municipal government's ability to meet them. Adams and Palau decided to concentrate on what they and other Portland residents shared: a love for their city. "Precisely because we may not find common ground on everything, let's work all the harder to find common ground on what we can," Palau said. "We all care about a more livable Portland." In those early meetings, Palau and his team committed to work long-term with city leaders to solve problems in Portland, hoping to build trust along the way. That first Season of Service delivered on the promise. The association turned out more than 20,000 volunteers from hundreds of churches who spent five months cleaning up schools, donating to food banks and serving Portland's homeless population. At the end of that first summer, residents celebrated the program's success in a festival at Portland's Waterfront Park. Welcoming thousands of evangelicals, Adams gave the crowd an unexpected call to action. "I told everyone that Season of Service had gone so well that I wanted to encourage us all to do it every year," Adams said. After that, Season of Service became an annual effort, and in 2013 it was rebranded as CityServe. More an evolving movement than an organization, CityServe is built upon a simple vision of mobilizing what Palau calls the "sleeping giant" of the evangelical community to love and serve with no strings attached. Waking that giant, getting hundreds of churches unified and ready to act, is always a challenge, Palau said. It is no small miracle when 49 of the Portland metro area's 50 largest churches are working together and not worrying about who gets credit.